When disaster strikes, nothing is more important to keeping all responders functioning as a team than solid, dependable radio communications. When disaster threatens to disrupt conventional means of communication as cell phones and landlines–as a Cascadia event might do–the need for a high-quality radio network becomes downright critical. In preparation for a Cascadia-related quake and tsunami–or some other mega-disaster– the American Red Cross Northwest Region is putting new emphasis on building a robust radio communications system. Spearheading that build-out is volunteer, Rowland Brasch. He is the long-time head of disaster services technology for the region’s King County chapter in Seattle. But for the past year he has also been lead for radio communication for the entire Northwest region. There are a number of communications resources to call upon. 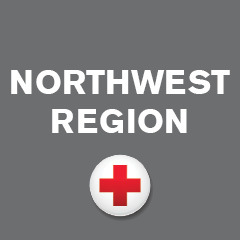 The Red Cross nationally has radio frequencies specifically assigned by the Federal Communications Commission. Most Red Cross chapters and vehicles have radios designed to work on those frequencies. Beyond that, there are thousands of amateur radio–ham radio–operators in the region who are trained in emergency communication. So if all the elements to a radio system already exist, why does the Red Cross need to do more? Part of the answer can be found in the very nature of radio waves. They don’t travel long distances unassisted. The Red Cross radio frequencies are in the VHF (very high frequency) range and transmitter and receiver must literally be within sight of each other to communicate. Given the long distances between chapters–between the King County chapter in Seattle and the Greater Inland chapter in Spokane, for instance–and the mountains that divide the state, conventional radio systems just won’t do. One piece of that mandate is to improve communications capabilities at each chapter. The Seattle chapter offers a model of how that might look–with a trained core of radio operators. Brasch explains that Seattle has a communications team with 60 members–nearly all volunteers and nearly all ham radio operators–equipped to provide emergency communications in a disaster. Brasch is himself a ham radio operator, holding the highest level ham license (amateur extra). Next step is the building of what is known as a “base radio” system on Cougar Mountain, near Seattle. It won’t link all the Red Cross units in the field, statewide, but will improve communication among the region’s seven chapters. Still more work lies ahead, says Brasch–including an advanced system of radio antennas. When those are in place, it should be possible for all seven chapters to stay in touch–including Spokane and Kennewick to the East and Bellingham to the far North. “I’ll be putting one of those antennas in my backyard to see if it works,” says Brasch. If there is a sense of urgency to his work, it’s understandable. Warnings that the “big one” might come at any time are common these days. A massive, area-wide drill in June, 2016 called “Cascadia Rising,” helped raise public awareness of the perils that the Cascadia subduction zone poses to the region..
What kind of volunteers do you have in the Orting area? Great question Ellie. I will ask Rowland and see! What’s the best way to reach you? Hello from Canadian Red Cross SW B.C. Region! I am a 5 year volunteer of the Cdn. Red Cross here and am a very active ham radio operator in Emergency Management communications. We are planning to restart VE7RCE our Red Cross Station here in the BQ HQ. On Vancouver Island in Victoria VE7VIC is located in the Cdn Red Cross office there. My resources are WinLink, IRLP, D-Star in additional to VHF and UHF. I would like contact Rowland to learn more from him and to establish a Red Cross link. Good morning! Email me at: betsy.robertson (at) redcross.org and I will introduce you.